We are currently in the midst of scheduling our 2018 Tour events. If you are interested in having the Eco Womb Tour come to your school or event, please drop us a line on our contact page. Check out our gallery to see pics from our previous events. San Diego EarthFair in Balboa Park is the largest free annual environmental fair in the world. EarthFair 2018 will be our 29th annual event! Each year, the EarthFair draws around 60,000 visitors. Produced by 300 volunteers, EarthFair 2018 will feature more than 300 exhibitors, special theme areas, a Food Pavilion, a special Children's Activity Area, four entertainment venues, the Children’s Earth Parade, the eARTh Gallery arts and crafts show, and the Cleaner Car Concourse. Hiking with the fam and sharing our love of nature by encouraging families, with babies to teens, to get on trail! Family Forest Fest is a summer campout festival with music, nature play, hiking, story time, teddy bear hunts, campfires, family yoga and more gathering hundreds of families in beautiful locations to celebrate children! This is the first and only festival of this kind 100% focused on children and family. The festival is a judgement-free zone! We leave all our politics and lifestyle and home and head out to farms across America and gather in a beautiful space to focus on connecting with one another and sharing the great outdoors with our children. So excited to be invited by Moss Envy, an amazing Eco Home and Life store in Minneapolis, MN, to share in spreading the love and all things sustainable! We will be parked at the lakefront lot across from Moss Envy at 3109 Calhoun Blvd, Minneapolis, MN 55416 from 12noon-6pm on Saturday, August 27th with the Eco Womb Tour Bus sharing on how we have gone green with our family, all about alternative fuels, solar power, going zero waste, eco-safe products for the home, including the importance of organic mattresses, and how to get out and about into nature with family in tow. Look for the bus, some eco-games set up for the kids, free samples from our Sponsors, eco-face paint, and come and take a peek into our tiny home on wheels and how we have gone organic as a family. Thanks for having us Minneapolis! Hope to see you there! Join us for an afternoon of family fun at MOM’s Organic Market in Waldorf, MD this coming Wednesday, June 8, 2016! Stop in for fun eco-games, free samples, and a chance to see the Eco Womb Tour Bus and learn ways to go organic and zero waste. We're back on the East coast and at one of our favorite events, DrumSTRONG. Join celebrity artists and thousands of good people (Globally) in a unique, multicultural, musical charity event showcasing available resources that support people with cancer and those who love them. We gather in rhythm to BEAT cancer! All over the world there will be events that tap into the global collective rhythm of hope to beat out cancer. And, the energy will be felt worldwide. At the main event in North Carolina, there will be health resources on prevention, detection, treatment, and care for those affected with cancer and their loved ones. And, there will be fun and music and food and friends and family. You will have the chance to join yoga sessions, get a massage, enjoy the kids’ activity area, buy quality drums and varied percussion instruments, and be a part of one of the most amazing rhythmic, moving, powerful drum circles on the planet! Vendors will offer quality food, drums, services, and lots of kids’ activities, as well as ongoing tai chi, massage, yoga, percussion and facilitating instruction, and the largest drum circle ever! It’s the beat of community, the beat of hope, the rhythm of us all. So, join us and DrumSTRONG for the 10th Anniversary event this year in Weddington, NC at Misty Meadows Farm, a working Therapeutic Horseback Riding farm. We’ll be there with the new Eco Womb Tour Bus sharing the message of living simply and sustainably, going organic and Non-GMO, getting outside into nature with your family, and why it’s oh so ever important to create an eco-safe and non-toxic home and lifestyle for your health and the future health for your family! We're kicking off the 2016 Eco Womb: BE the Change Tour in Boca Raton, FL at the Florida Earth Festival. It's a NEW year, NEW tour, and a NEW Eco Womb Tour Bus. Come see the unveiling of our new ride and spend a fun filled FREE festival day connecting and saving the Earth. There will be music, food, artists village, Eco-Park, Alternative Fuel Car Park...and more. The 5th Annual "World's Fair of Pure Food" will be September 8, 9 & 10, 2015 in Santa Rosa CA. Over 20,000 farmers and Gardeners! Over 300 Vendors, 1,000+ Exhibits, and thousands of heirloom varieties from across America! There will be educational displays, heirloom produce displays, speakers, contests, a trade show, workshops, exhibits, music, poultry and livestock show, garden art show, garden benefit auction, movie screenings, seed company reps and much more! Speakers will include: JEREMY SEIFERT, DR. VANDANA SHIVA, ZEN HONEYCUTT, SARA PATTERSON, GARDEN BETTY, MARK SMALLWOOD, JERE GETTLE and more! Join us for an organic potluck gathering at Zen Honeycutt's (Founder of Mom's Across America) house where we will hear from the GMO education traveling families Eco Womb and Tumbling Weeds. Watch the movie BOUGHT about Big pharma and Big food and find out about the connection between GMOs and vaccine damage that no one is talking about. Please RSVP and comment what you are bringing so we have a good variety. Plates, utensils, water and a main dish will be served. Movie showing after dinner at 7:30. Come early to hear from our special guests. Donations to support Eco Womb and Tumbling Weeds welcome but not required. Come and enjoy gathering with fellow activists! Click here for the Facebook event page. Free Film Screening of the award winning documentary "GMO OMG"
Join the Eco Womb family and friends for a night of community and sharing with this amazing film that takes a look at GMO's from a family's perspective. This is a family friendly film and event. We encourage all people to come and enjoy the film and learn more about GMOs. Doors open at 5:30. Film starts at 6:00. Questions and Answers following the film. Film description: GMO OMG director and concerned father Jeremy Seifert is in search of answers. How do GMOs affect our children, the health of our planet, and our freedom of choice? And perhaps the ultimate question, which Seifert tests himself: is it even possible to reject the food system currently in place, or have we lost something we can’t gain back? These and other questions take Seifert on a journey from his family’s table to Haiti, Paris, Norway, and the lobby of agra-giant Monsanto, from which he is unceremoniously ejected. Along the way we gain insight into a question that is of growing concern to citizens the world over: what's on your plate? See our Facebook Events page for more info and to RSVP. Join us May 23rd for March Against Monsanto to spread awareness and educate on GMOs! We will be starting in Balboa Park and winding our way through downtown San Diego before ending up at the World Beat Cultural Center! Come on out, bring the kids, wear your walking shoes, and let's connect with other families to share how important it is to go organic and Non-GMO! Come play eco games like Bottle Brick Bowling and Recycle Swish with the Eco Womb Tour Bus. Visit the 2000 square foot butterfly free flight house. Crafts for the kids. Face painting. Help us paint a giant wall mural. Get foamed by the Dr. Bronner's "foamie homies". Food and juice trucks. Much more to be announced soon. Admission is free and event is open to the public. The annual EarthFair in Balboa Park is the largest FREE annual environmental fair in the world. This is the 26th Annual EarthFair event! Each year, the EarthFair draws around 60,000 visitors. Produced by 400 volunteers, EarthFair 2015 will feature more than 300 exhibitors, special theme areas, a Food Pavilion, a special Children's Activity Area, five entertainment venues, the Children’s Earth Parade, the eARTh Gallery art show, and the Cleaner Car Concourse. Eco Womb's 2015 tour will feature more learning and fun activities as we incorporate games and eco-face painting into our tour. We'll also have new shirts and products to support our educational outreach. Join us in Medford, OR at Natural Grocers to help support GMO labeling and our Right to Know what is in our foods! Just look for the Eco Womb Tour Bus and the #YesOn92 signs! We will have fun Giveaways and info to share so that you, too can help spread the word. Ballots are out in Oregon and we need everyone to mail them back in and check YES on Measure 92! Oregon, Let's Do This!!! September 22 - October 6, 2014 - All over Oregon!!! The Eco Womb family is teaming up with the Big Tadoo Puppet Crew, The Human Revolution, Are We Eating Fishy Food and the REAL Cooperative, with many of the same activists, educators, entertainers and friends from the original Right2Know March in 2011 from NYC to Washington, DC to support the Yes on 92 GMO Labeling initiative in Oregon. We will be Touring throughout Oregon using puppetry, theater, music, and interactive art to get out the vote and encourage Oregonians to vote Yes on 92 in November. The two week Tour will take us through Portland, Salem, Corvallis, Eugene and Ashland. We will have events at universities, farmers markets, flea markets, festivals, public events, theaters, as well as impromptu performances. Everyone has a right to know what they are eating and this grassroots tour will emphasize connecting with as many people as possible so they have a right to vote on that right to know! Be sure to stay up to date on events as they are added by visiting the Oregon GMO Right2Know Tour page and if you have an event you would like us to attend, please contact us at love@ecowomb.com and we will try and stop by! Held annually on the second Saturday in August, this free community event draws close to 20,000 people to join in on the family-friendly fun! The event featured over 300 vendors, a kids parade and kids activity corner, three stages of entertainment and much more! With a focus on local business and artisans, Alberta Street is the place to be! We loved having the Eco Womb Tour Bus to talk alternative fuels, renewable energy, eco-safe products for families, and to support Yes on 92 and getting Oregonians out to vote to label GMOs this fall! See pics from this event over on our Tour Gallery. On August 1st at 10.30am, women, families and children will gather around the world, to laugh, chat and build community one latch at time. Eco Womb will be at Sellwood Park in Portland, Oregon with Hike it Baby to promote The Big Latch On with Hike It Baby. Time: 9:30-10:00am Registration for the Big Latch On (this is a national organization and they want us to register so they can show how many people Latched On across country at once). Then head out on to trail at 10:30 and LATCH! We will do a 44 minute walk loop and end up back in the park! Open to all Families. Mamas, Papas, Children and Babies! About Hike it Baby: We believe that our world would be a better place if all parents stepped outside at least once a week for a walk in nature with their new baby. It’s our goal to support you in doing that. We promise to provide a minimum of ONE HIKE PER WEEK in Portland (and hopefully around the nation) rain or shine and chances are there will be more. Change your world one little hike at a time. We're celebrating Independence Day in Oregon. We'll be joining forces to call the president's attention to our patriotic cause. We want the right to know what we are feeding our families! We will be participating with Moms Across America to educate the public about GMO's and get Oregonians to take a stand and have GMO's labeled. Join us for a day of fun and connection! Chipotle – Eco Womb Tour Fundraiser, featuring the Eco Womb Tour Bus, The Fishy Sugar Beet Car and The Oregon Right to Know Campaign. We will be showcasing the Eco Womb Tour Bus, sharing info on sustainable living, alternative fuels, solar power, our Zero Waste Family project, and of course going non-GMO. We will have petitions to sign from The Oregon Right To Know Campaign to get GMO's labeled. Also appearing will be the Fishy Sugar Beet Car from the fishy food fleet. 50% of the sales at Chipotle from 4pm-8pm will go towards the Eco Womb Tour and The Oregon Right To Know Campaign. These funds help us continue our education. Please print out the flyer below, show it or mention it at the counter when ordering for us to get credit and the proceeds. Eco Womb Tour Bus stop to talk about alternative fuel, solar, going zero waste (bottle bricking) and sustainable living. Afternoon workshop where we'll showcase the Eco Womb Tour Bus and talk about alternative fuel, solar, going zero waste (bottle bricking) and sustainable living. This unique Festival packs powerful green sustainability discussions, activism, workshops and solutions into one full day of fun, excitement and amazing performance. Designed to support the Bay Area Community and beyond, Earth Day San Francisco focuses on acknowledging the local and planetary environmental challenges we all face, and inviting the public to integrate sustainable practices into their everyday lives. Join us for a full day of Eco Womb activities including veggie oil demonstrations, solar learning labs, the Non-GMO Family Awareness Campaign, Eco Womb Tour bus insights and sustainable living features. You will also be able to see the Eco Womb Tour Bus Family's "trash" for the past year since Earth Day 2013, all in a 3 cubic sq ft. footprint!! We will also have our eco-products available for purchase. The Eco Womb Family joined marchers worldwide on World Food Day to march for the freedom to know what is in our food! Joining GMO Free Jackson County and Families for Food Freedom in Medford, OR, we raised our voices in standing up for food freedom once again! And, we will keep on marching until ALL food is safe for our kids! Helped spread the word on Yes on 522 with the Eco Womb Family at Seattle Tilth's Harvest Fair on September 7, 2013 at Meridian Park in Seattle, WA. From campaigning on CA's Prop 37 last fall to educating on WA's I-522 this year, we continue to support state GMO labeling laws so that one day we have a national consensus on having the Right to Know what is in our food and safe, organic, Non-GMO options accessible to everyone! Come join THE most family-friendliest music festival ever - BurntWoodsStock 2013! Three days of peace, love, and music, the Eco Womb Tour Bus and family will be there sharing in community and continuing to connect families and create change! "BurntWoodsStock is about Family, Community and People, a place where ALL can belong, a place where there are people looking out for them and thinking about them, a festival for the People by the People, that BurntWoodsStock stands and will always stand as its own harmonious village, a monument to families of all stripes, biological, musical and universal. Much like the infamous 60’s festival, of which part of it’s name is derived, BurntWoodsStock is a gathering of folks from all over, sharing in the celebration of three days of peace, love and music with a focus on family. Now in it's 5th year, BurntWoodsStock is a family and community oriented, all ages music and camping festival, founded and hosted by musicians for musicians and held annually, the last weekend in July on the Kasner Family Farm in Burnt Woods, OR." Three days of amazing live music, a kids village, craft vendors, local food, camping in the forest, kids parade, fire dancing, belly dancing, hooping, and an overall sense of community and fun! Hope to see you there! RootWorks presents Sacred Seeds, a community festival at Ashland's amazing Jackson Well Springs, raising funds and awareness for GMO-Free Jackson County. Come learn how you can help support GMO labeling in your community, and enjoy live music, sustainable living workshops, a fun kids village, and local organic food. The Eco Womb Tour Bus will be there discussing alternative fuels, renewable energy, going zero waste, natural parenting, and of course, how to go Non-GMO with a family on a budget! We will have Non-GMO free cookie samples from Mary's Gone Crackers, informational flyers from the Non-GMO Project, and buttons from our MOMS ACross America March to share. We will also be sharing our new interactive Bottle Brick Bowling education station, and all of our Eco Womb goodies to help support our education programs. 20% of all proceeds will be donated to GMO-Free Jackson County. The Eco Womb Family joined the Moms Across America March to Label GMOs July 4th parade in Mt. Shasta, California and had a great time educating loads of families! We passed out 1,000 Non-GMO cookies donated by Mary's Gone Crackers and MAM flyers to teach people all about GMOs and how to go Non-GMO for their family :) Parades move fast and we were busy passing things out to those on the curb watching the parade, so didn't get a lot of photos, but did make a huge impact! Best quote of the day: "Finally, something healthy at a parade, thank you!" Now, let's keep it going moms (and dads, and everyone), keep marching for change and keep educating!!! Our kids need us to keep going until our food and future are safe!!! Join us at the Ecology Center's Farmer's Market - 9th Annual Family Fun Festival — “a whole day of FREE fun for the whole family” — co-sponsored by the Downtown Berkeley YMCA; the City of Berkeley, Parks, Recreation & Waterfront Dept. ; BART (Bay Area Rapid Transit); and Parents’ Press. Featuring hands-on activities and crafts, games, contests (hula hoop, skateboard, strawberry walk), performances (Asheba Caribbean music for kids of Putumayo Kids' Records, and a family dance), and informational booths full of fun for kids and families! Look for the Eco Womb Tour Bus for FREE Non-GMO cookie samples donated by our sponsor Mary's Gone Crackers, a Zero Waste bottle bricking station, veggie oil demos, solar info, color your own veggie bus, and lots of fun, eco-friendly, family-friendly products! Join 2 million others worldwide in over 49 countries and 370 events to take back our food and stand up to Monsanto! Learn more about why GMOs are dangerous to our health, farms, and food and how you can vote with your fork and dollars to make a difference! Join us at Union Square, San Francisco at 11:00am for speakers and a rally before we March to Justin Herman Plaza for more great music, info and speakers to end around 3:00pm. Or, find an event near you - http://www.march-against-monsanto.com/p/blog-page.html and stay up to date on more events being planned for the future at http://www.facebook.com/MarchAgainstMonstanto. Also, learn "Why We March" on the Blog with our family across the country teaching about GMOs and Monsanto and how you can go Non-GMO, too through joining up with Eco Womb's Non-GMO Family Awareness Campaign. Join us for a full day of Eco Womb activities including veggie oil demonstrations, solar learning labs, the Non-GMO Family Awareness Campaign, Eco Womb Tour bus insights and sustainable living features. Also, come learn more about our Zero Waste Family Project where we will have a bottle brick stuffing station with the Peace on Earthbench Movement. You will also be able to see the Eco Womb Tour Bus Family's "trash" for the past year since Earth Day 2012, all in a 3 cubic sq ft. footprint!! 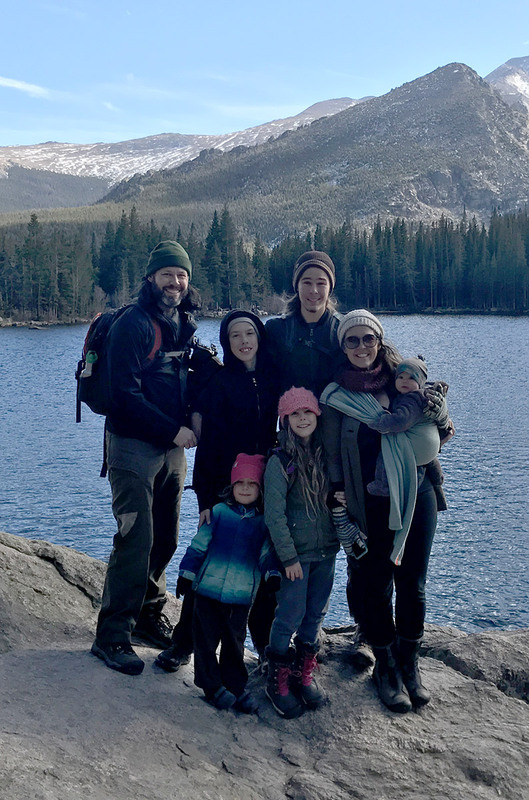 Featured as the "Greenest Family in America" on The Ricki Lake Show's Epsiode "Green Living," The Eco Womb family talks to Ricki about sustainable living in an RV that's only 256 sq. ft., gives a tour of the Eco Womb, shows how we roll on waste vegetable oil for fuel, and introduces her to the Zero Waste Family Project and bottle bricking. The episode aired April 17, 2013. Click here to watch a clip from the show. Eco Womb Tour Bus veggie oil demonstration and skill share. Met with students to talk about the future of biofuels and using waste vegetable oil as an alternative fuel. Eco Womb Tour Bus veggie oil demonstration and skill share. Met with Co-op members to discuss alternative fuels and the use and collection of waste vegetable oil as a needed option in our communities. As a part of our Non-GMO Family Awareness Campaign, Eco Womb has launched the Non-GMO Family Food Drive as the first ever Non-GMO food drive to give families in need not just food during the holidays, but healthy, organic and Non-GMO foods. Because EVERYONE has a Right to Know what is in their foods, regardless of social, economic, or geographical background. Look for posters and displays with Give Bags for donations at grocery stores and markets across the country. 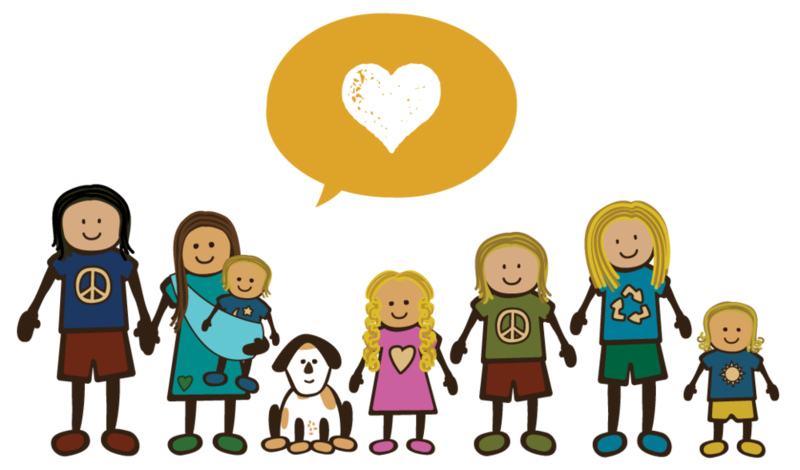 And, if you are interested in hosting a Non-GMO Family Food Drive in your community, please contact us at love@ecowomb.com and we will send you a Food Drive package so that you, too, can give back to someone in need healthy, Non-GMO food this holiday! Thanks Whole Foods Market in Memphis, TN for inviting us to educate on healthy living and safe, organic, Non-GMO food options. We met some amazing people all wanting to connect on these issues and wanting to share their stories on how they healed themselves through food and an eco-safe lifestyle. It was super fun to show people how to go zero waste by bottle bricking, all about waste veggie oil and alternative fuel options, and how to live simply and sustainably. Thanks Whole Foods management for having the Eco Womb Tour Bus and our family there for the day, and thanks for providing organic, Non-GMO food options to the people of Memphis, it is greatly appreciated by all! We were able to share with families how to go Non-GMO, organic, and eco-safe, and you provide the means for them to do that right there in their own community. Also thanks to everyone who came by to support us and engage in beautiful, conscious conversation! We enjoyed connecting and sharing and learning from one another as we all continue to take steps to a healthier, more sustainable future! View photos from this event in our gallery. Great speaking event at The Cosmic Coconut in Memphis, TN with Fuel for the Body Bike Tour and Chris Beat Cancer! We enjoyed an evening of sharing, educating, and uplifting conversations on how to heal yourself and feel amazing on healthy, organic, Non-GMO foods. We also enjoyed learning how this little gem of organic goodness was going green and how they were keeping it alive so that the community had a place to get energized! Thanks to everyone we met and for your stories and connections! This is why we do what we do! View photos from this event in our gallery. Right after our event at Panera Bread that morning, we headed on over to Jonesboro Health Food Store for an evening of conversations and a seminar by the Organic Guru Lynnette Pate from Fuel for the Body Bike Tour. We enjoyed teaching some littles all about going zero waste, as our daughter joined in to show her new friends how to stuff trash into a bottle brick. And, we enjoyed the many conversations we had regarding how to go organic on a budget, what first steps you can take to gain back your health through whole, healthy foods, how to make kombucha, and being awake in this time of transformation. Thanks to all who stopped by, who showed your support, and who stayed to hear Lynnette's story on how growing up on Monsanto farmland impacted her health and the health of her family until they healed themselves through food. View photos from this event in our gallery. Continuing on with Fuel for the Body Bike Tour we made it to Jonesboro, AR, in the heart of Monsanto farmland. While there is much support for Monsanto and GMOs here, there were so many people yearning for more information on living healthy and why so many are getting sick and allergic to our foods. People want organic, safe options and we heard more than once how people here want a larger selection of Non-GMO foods brought to this area. One lady told us she drives two hours to Memphis, TN just to shop at Whole Foods Market so she can stock up on healthy foods, and that Panera Bread is the only place in town that she can eat an organic vegetarian meal. Thank you Panera Bread for offering organic food options to Jonesboro, and for inviting us here to share this message on living healthy and being eco-safe for your family's well-being! Our spirits are lifted knowing that a franchise like Panera Bread supports its customers Right to Know what is in our food! View photos from this event in our gallery. Thanks for the invite Thayer, MO! We had a great time at the Go Green Festival and loved learning from the other vendors how they are prepared to be off-grid and steps their community members had taken to be more sustainable. Everything from how to hand pump your own water with a bicycle, to solar fans, to heirloom seeds, to handmade bows and arrows. Thanks to all who stopped by the Eco Womb Tour Bus and for all of the conscious conversations had about being awake during this time of transformation! We love that we are finding pockets of community everywhere that make us all feel that much more connected! View photos from this event in our gallery. Joining up with Fuel for the Body Bike Tour in St. Louis, MO, we jumped right in with a tour of EarthDance Farms, helping them harvest tomatoes for market on Friday, and then got to participate in the Ferguson Farmer's Market that Saturday. What an amazing urban farm and market and what an open community, inviting us to come and making room for the Eco Womb Tour Bus! Thank you organizers! Organic tea, homemade veggie omelettes, wagon rides for the littles, and live music, what a perfect day! Thanks to all who came by to see us and all who engaged in lively conversation and interest. We enjoyed coloring veggie oil buses with the littles, talking alternative fuel, sharing how to go zero waste by bottle bricking, and how to go Non-GMO with your family on a budget. Thank you to everyone who also supported Eco Womb with your purchases of eco-safe products for your family, 100% of all sales goes toward our Educational Programs and enables us to do this! View photos from this event in our gallery. With over 75 actions worldwide this week to stand up against Monsanto and demand the right to know what is in our food, we knew we had to be a part with the Eco Womb family. With an event scheduled in Ithaca, NY, where we just happened to be headed to connect with friends, and with the help of the Genetic Crimes Unit team, we connected with Joanne who also happens to be very active in protests against fracking, another important issue that we care very much about and that needs a greater voice. It was a small turnout, but nothing stops a mama on a mission! We aired The World According to Monsanto all day so that passer-bys could get a glance at the evils behind Monsanto, and learn the history and connections between Monsanto and the government. We passed out educational flyers from the Non-GMO Project to inform people on what a GMO is, the detrimental effects on farmers, our soil, and our health. We sang music to the tune of "All we want's a simple label, for the food that's on our table" carrying on the energy of the Right2Know March. And, we connected with so many people yearning for information on GMO's, what steps they could take to eat safer, why it is so important to make our voices heard, and how to shop Non-GMO on a tight budget. THANK YOU to ALL who came out and supported us in our efforts to stand up against Monsanto and for GMO labeling, and even more importantly, THANK YOU to ALL who stopped by to learn and ask questions and seek ways to change what you eat so that you, too, can vote with your forks and your dollars. ALL of us are creating big change! View photos from this event in our gallery. What started off as an educational experience for the kids turned into a connection that brought the Eco Womb Tour Bus to the College of the Atlantic. Love how those connections happen! On one of our last days in Acadia National Park, we took the Eco Womb kids to a Touch Tank educational program at the George B. Dorr Museum of Natural History. We happened to meet Erickson who happened to be on the Sustainability Committee for the College of the Atlantic and it just happened that he invited us to provide a workshop on campus which happened to be the first day of orientation for new students and the last day we were on Mt. Desert Island. Love how things work out! It really all happens the way it is supposed to happen. We had a lovely tour of their community garden, composting area and solar electric system. We picked fresh apples right off the trees, got to sample the most delicious tomatoes and peppers, and provided a workshop on simple and sustainable living, how to go Zero Waste with bottle bricks, the importance of Non-GMO's and what is happening with Prop37, and did a complete waste veggie oil demonstration. We had a great turnout since the students had just finished up touring the campus that morning, and we thoroughly enjoyed our time connecting with and educating the students at the College of the Atlantic, while at the same time learning from them, as well. Thanks so much for hosting us College of the Atlantic, and providing our family with the most delicious organic goodness from your garden! We look forward to coming back! View photos from this event in our gallery. As a part of Eco Womb's 2012-2013 Tour, we have decided to 'Shop for Truth at Trader Joe's' in Portland, Maine with The Conscious Caravan, a traveling tribe of families advocating for socially and eco-conscious change and helping educate communities on healthy living, including eating safe, organic, Non-GMO foods. We will be shopping with our families in tow and asking what their "assurance" means when it comes to saying they use Non-GMO sources. We want verification on their Non-GMO claim and we want to encourage them to contact the Non-GMO Project for certification, or we will be letting a whole lot of families know that they cannot trust shopping there. We will have flyers to hand out to help spread the message on why Non-GMO's are so important and talking with as many people as we can who are shopping for their families and have the right to know what is in our food! We participated in the Right2Know March last fall, from NYC to Washington, DC, covering 313 miles of raising awareness on GMO’s (Genetically Modified Organisms), and walking and setting up for events along the way with our three kids in tow. We now want to continue to march and continue to educate on the importance of what we put into our bodies and into our soil, and the impact it makes on the future for our kids. Our Tour this year includes any stops we can make across the country where we can educate and advocate for safe foods and a healthy environment. We are excited to get to Portland and energized to be a part of Shopping for Truth at Trader Joe's! If you are in the area, please come on out and join us! Just look for the Eco Womb Tour Bus in the parking lot on Sunday from 2-4pm, July 29th. View photos from this event in our gallery. To learn more about the Shop for Truth campaign click these links: http://occupy-monsanto.com and https://www.facebook.com/events/246481688804727/. Join us as we help the Conscious Corner at Roots Market in Olney, MD celebrate their 12 year anniversary! We will be on site to discuss healthy eating, simple and sustainable living, how to shop for Non-GMOs, going Zero Waste, the importance of play, deepening your connections with your family through art and conscious living, and choosing alternative fuels while also discovering what fuels you! Clean Currents, Honest Tea, and others will join us for a day of food, family, fuel and fun! See Roots Market and The Conscious Corner for more details! View photos from this event in our gallery. IT'S TIME TO DRUMSTRONG!!! Come out and BANG on something to B•E•A•T cancer! MAY 19 & 20, 2012 with Keller Williams & WMDS!, George Porter, Jr & Runnin' Pardners, Jeff Sipe & Friends, Eyes of the Elders, Inner Visions roots reggae and much more. DRUMSTRONG events raise awareness and funds for important cancer programs globally through rhythm, funding cancer education, research and survivorship support. Health Expo :: Full Stage :: Vendors :: KidZone :: YogaThon :: BellyDancers :: Parades :: Camping :: Drum Circle! $30. per Person :: $50 per Family for the entire weekend. rain or SHINE! (we've got BIG tents). Proceeds benefit local and national cancer organizations. See details @ WWW.DRUMSTRONG.ORG Find a DRUMSTRONG event near your Village and come out & Play! Eco Womb's 2012 Tour will kick off on April 21st at Asheville Earth Day! Join us in downtown Asheville as we launch this year's tour as sponsor of the Kid Village. Enjoy fun, family crafts and education on how to take steps to become more eco-conscious with your family!. This fun filled family event which includes live music is FREE to attend. For more information see Asheville Earth Day Festival. Come join Eco Womb as we dicuss the benefits of alternative fuels, renewable energy, simple and sustainable living, and why we are standing up and speaking out to get GMO foods labeled. We will also be showcasing all of our new products, including wooden toys and organic shirts from our local artisans. The Eco Womb Tour Bus will again be at the Wyland Living Green Fair in South Florida for our second year in a row. This event launched our Tour last year and we are grateful to be able to return and participate in this engaging, interactive green fair that brings together art, community involvement, health and wellness, green business practices, sustainable living, and an awareness about preserving and protecting our environment. Wyland will be painting another 50ft mural with kids and big kids alike, along with offering education through his Mobile Learning Center and Water Maze. New this year, the Fair will feature a Farmer's Market, Green Restaurant Row, and Sustainable Beer and Wine Garden. For more information see Wyland Living Green Fair. Come join Eco Womb as we dicuss the benefits of alternative fuels, renewable energy, simple and sustainable living, and why we are standing up and speaking out to get GMO foods labeled. We will also be showcasing all of our new products, including our newest Bliss Kits from The Human Revolution (to be available online soon). Come out and join us for a day of fun and sun, right here in South Florida where the Eco Womb was born ;)! The Eco Womb Tour Bus has joined up with the Sustainable Living Roadshow and the Right 2 Know March for the first half of October to March from New York City to Washington, DC. From the United Nations to the White House, we will join other marchers from across the country and world to demand labeling of all Genetically Engineered Foods. 80% of all packaged foods in America contain Genetically Modified Organisms (GMOs), and the United States and Canada are the only industrialized nations to not have any restrictions on GMOs or labeling of any kind for Genetically Engineered Foods. We will kick off the event on October 1, 2011 in Prospect Park in Brooklyn, NYC, March across the Brooklyn Bridge, and onto the United Nations. The March will then continue through New Jersey, Pennsylvania, Maryland and culminate in Washington, DC on October 16, 2011. We will have events along the way at Natural Food Markets, and rallies in Philadelphia, Baltimore, and DC. Come out and join us to bring awareness to GMO Labeling, and hear knowledgeable speakers, fun presentations, camping, and much, much more! Eco Womb launches its fall tour at the Mother Earth News Fair at the Seven Springs Resort in Western Pennsylvania. The Mother Earth News Fair is a fun-filled, family-oriented sustainable lifestyle event that features dozens of practical, hands-on demonstrations and workshops from the leading authorities on Renewable Energy, Small-Scale Agriculture, Gardening, Green Building, Green Transportation and Natural Health. We are joining the Sustainable Living Roadshow there to educate and spread the love! Their productions focus on creating main-stream platforms for local and national "green" communities to gather under a collective banner to empower attendees with options for a sustainable planet. They set up educational eco-villages at events and spread the message of sustainable living through entertainment, games, and interactive tents. We will have our products set up at the Eco Womb Tour Bus right next to the Sustainable Living Roadshow crew doing veggie demonstrations, discussing alternative fuels, renewable energy, simple and sustainable living, as well as highlighting some of our great new products. We will be unveiling our new line of Eco Womb Organics by Wild Child clothing for children (size 2-12 years), Eco Womb Organics by Awakening Artemis (size newborn-youth), Eco Smiles shirts (newborn-adult sizes), and Outside.Everywhere handcrafted wooden toys (all to be available online soon). Come out and join us for a day of fun! Eco Womb will be attending The Gathering of the Peacemakers on August 5-8, 2011 at Big Ivy Campground, just outside of Asheville in Barnardsville, NC. An extension of the One Love Festival, this four day retreat will bring together those ready to play their part in the coming global transformation to love. During the day there are a variety of "reasoning circles" on leading a loving, balanced and sustainable life. At night we celebrate with live reggae bands and drumming circles. Robert and Julia Roskind have authored several books that carry a message of unconditional love for all from the Hopi, Havasupai, Mayan, and Rastafari Elders. Their goal is to assist in preparing for the coming changes and transformation from the love of power to the power of love, and so that they can share this peace with others and help grow the One Love movement. An amazing event to be a part of, the Eco Womb Tour Bus will be teaching a workshop on Simple and Sustainable Living, and enjoying some time with beautiful, conscious souls. Come join us and be moved by the experience of the Gathering of the Peacemakers! Eco Womb is excited to go to The One Love Festival this coming weekend in Boone, NC at Grandfather Campground. $15 advance tickets, or $20 at the gate, includes camping! There will be live music, a late night drum and fire circle, and over 30 free workshops on solar and wind energy, organic home gardens, earth skills, yoga classes, and wisdom circles. We will have our products set up at the Eco Womb Tour Bus right on the meadow, doing veggie demonstrations, discussing alternative fuels, renewable energy, simple and sustainable living, as well as highlighting some of our great new products. Eco Womb is excited to be a part of the Eco Lifestyle Gala for the second year in a row! We are participating in their silent auction to raise money for Patricia Arquette's Give Love organization, helping the greener rebuilding of Haiti, and Global Green, helping green initiatives in schools and communities across the world, including a greener rebuilding of New Orleans. With Papa Bear on the board of South Florida Green Drinks, we are proud to be a part of connecting green businesses in South Florida and building a green movement on all levels. The Eco Womb Tour Bus is on the road headed to Delray Beach, we'll be participating in the Wednesday Wellness Series at Cie's Artisan Emporium at 5pm, come out to see us and sample some teas and kneads! We will be the guest presenter that evening and will be showcasing the Eco Womb Tour Bus as well as all of our product offerings. The Eco Womb Tour Bus will be at the the Summerfield Founders Day Festival on May 14th, celebrating the Town of Summerfield’s 15th anniversary, as well as the Summerfield Fire Department’s 60th Anniversary. Saturday’s activities will be at the Summerfield Road Fire Station at 7400 Summerfield Rd, Summerfield, NC. The popular two day festival includes a Friday night music event in the Community Park Amphitheatre, Saturday morning Fun Run and parade, and an all day festival featuring live music, local vendors, and special exhibits celebrating the Town’s history. The Eco Womb Tour Bus will be featured in the parade and we will be set up alongside other vendors at the festival. We will be doing veggie oil demonstrations and discussing alternative fuels, renewable energy, simple and sustainable living, as well as highlighting some of our great new products. Come celebrate Earth Day with us at Citrix Systems in Ft. Lauderdale on Cypress Creek! We will be showcasing the Eco Womb Tour Bus, doing veggie oil demonstrations and discussing alternative fuels, as well as highlighting some of our great new products, and talking about simple and sustainable living. Come celebrate Earth Day with us at Daggerwing Nature Center in South County Regional Park, West Boca. This is a FREE family event with guest speakers, live animal shows, a ladybug release, crafts, guided boardwalk tours, exhibitors, prizes, and fun activities for the whole family! We will be showcasing the Eco Womb Tour Bus, doing veggie oil demonstrations and discussing alternative fuels, as well as highlighting some of our great new products, and talking about simple and sustainable living. For more information see the schedule of events at Daggerwing Nature Center. Come see the Eco Womb tour bus at this fun filled holiday parade. We will be on the parade route with the Eco Womb Tour RV decorated for the holidays. We will be handing out flyers with a 15% coupon code and organic lollipops! "Disco in December" will be the theme of the City of Delray BeachHoliday Parade, and a new, extended route will take the parade down West Atlantic Avenue to Northwest Fifth Avenue. The Holiday Parade will start at 6 p.m. Dec. 11 and will march down Atlantic Avenue beginning at Venetian Drive before heading west to Northwest Fifth Avenue. Road closure of Atlantic Avenue will begin at 4:00 pm to prepare for the parade route, from A1A to NW 5th Avenue. Lowry and Andrews Avenue will also be closed during this time. The streets will reopen at the conclusion of the parade. Come see the Eco Womb tour bus at this fun holiday event for families. Shop for eco-safe products for all the little ones on your list. South Florida Parenting has partnered with the Promenade at Coconut Creek to create a Holiday event for the family market. The Promenade is located at the intersection of Lyons Rd. and Wiles Rd. in Coconut Creek, Florida, with easy access from both State Road 7 and the Sawgrass Expressway. The Holiday Festival will feature interactivities by both exhibitors and tenants of the center, snow play area, holiday crafts, activities and inflatable amusements. Admission is $6, and babies under 18 months are free. For more information visit the South Florida Holiday Festival information page. Come join us for the inaugural launch of the Eco Womb Tour featuring our newly designed RV. We will be showcasing the veggie system as well as all of our Eco Womb products. The Wyland Living Green Fair is a FREE interactive community experience bringing together art, community involvement, and awareness about our environment, showcasing local green businesses. There will be FREE admission all weekend to the Boca Raton Museum of Art, and the globally renowned marine artist, Wyland, will be painting 50 foot murals with the kids, one each day, as well as sharing his mobile clean water learning center. Gumbo Limbo Nature Center will be there, as well as the Kids Ecology Corp with many family activities in the Kids Eco-Zone. There will also be a food court with lots of local and organic options, and there will be a Disney concert that night with tween/teen sensations to "Rock Out this Planet."